First they listened to two Siesta Key residents talk about the travails of living near homes rented continually to visitors. Then the Sarasota County commissioners voted unanimously on Feb. 26 to approve imposition of a fine as high as $5,000 for violations of the county’s short-term rental laws in districts zoned for single-family homes. Matt Osterhoudt, director of the county’s Planning and Development Services Department, told members of the Siesta Key Association (SKA) on Jan. 10 that the new fine could be applied, for example, in situations when loud noise late at night at illegally rented homes proves disruptive to neighbors. The Code Enforcement amendment, he explained, was proposed on the basis of language in the Florida Statutes. The fine previously could not exceed $250 per day for a first violation and $500 per day for a repeat violation of the county regulations handled by the Code Enforcement Division. A Special Magistrate — a court official who presides over Code Enforcement hearings — would have to find a violation “to be irreparable or irreversible in nature” to impose a $5,000 fine, the amendment says. The amendment was to go into effect as soon as it had been filed with the Office of the Florida Secretary of State. Donna Thompson, the county zoning administrator, has told The Sarasota News Leader that it typically takes two business days for the filing to be processed in Tallahassee. Joe Volpe, an SKA director, testified during the Feb. 26 public hearing that he lives on Treasure Boat Way, just north of Siesta Village. On behalf of the nonprofit’s members, he explained, he has been working with county Code Enforcement Officer Susan Stahley — who works on the Key — on means to prevent illegal short-term rentals in residential neighborhoods. A house across the street from his home, he continued, “is rented every five to six days.” Yet, Volpe pointed out, county regulations prohibit the rental of a home in a single-family neighborhood more than once every 30 days. Another house near his residence, he added, is advertised for three-day rentals. “They threatened to kill her,” Volpe said. 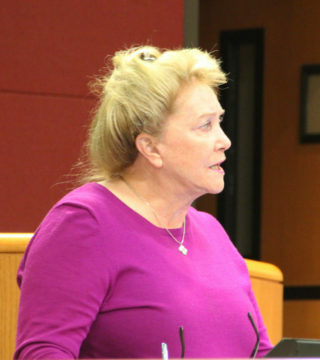 Margaret Jean Cannon, who also addressed the board on Feb. 26, acknowledged that she lives in a nine-condominium complex on Beach Road, in a multi-family home zoning district, which has different rental rules. Nonetheless, she described situations similar to those Volpe has related to SKA members over the past couple of years: trash cans remaining at the curb for days after renters leave, awaiting the once-a-week Waste Management collections on the Key; and multitudes of vehicles, some in yards. Cannon provided the commissioners a sheet showing internet advertisements for homes on Siesta Key that sleep from 14 to 24 people. Owners of two multi-story houses across from her condominium complex on Beach Road advertise that the structures can sleep up to 26 persons, she added. “We don’t even have the ability,” she pointed out, to know who the owners are, so they can be contacted in the event problems with tenants arise. 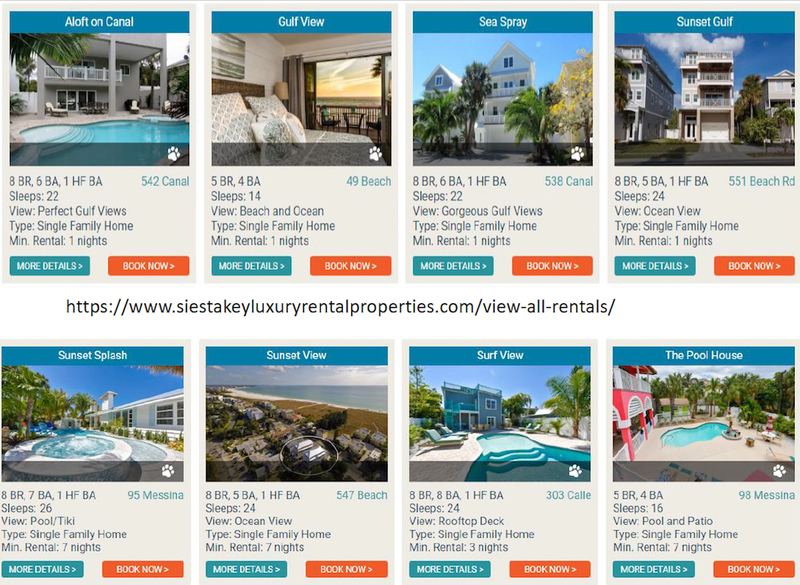 Annually, she continued, that is reflected in the fact that the total “bed tax” revenue from Siesta accommodations make up the highest percentage reported for all the locations in the county where the 5% tax is collected. Cannon also suggested the commissioners consider hiring more Code Enforcement officers and pay for the Sheriff’s Office to hire more deputies to handle issues on the Key. In making the motion to approve the amendment to the County Code, Commissioner Alan Maio — who represents Siesta Key as part of his District 4 territory — told his colleagues, “We keep hearing the horror stories. I think staff is trying to do everything they can,” while still ensuring that due process is afforded people accused of illegal short-term rentals. Behavior such as “out of anybody’s bounds of partying,” Maio added, “is completely inappropriate in residential areas with single-family homes. 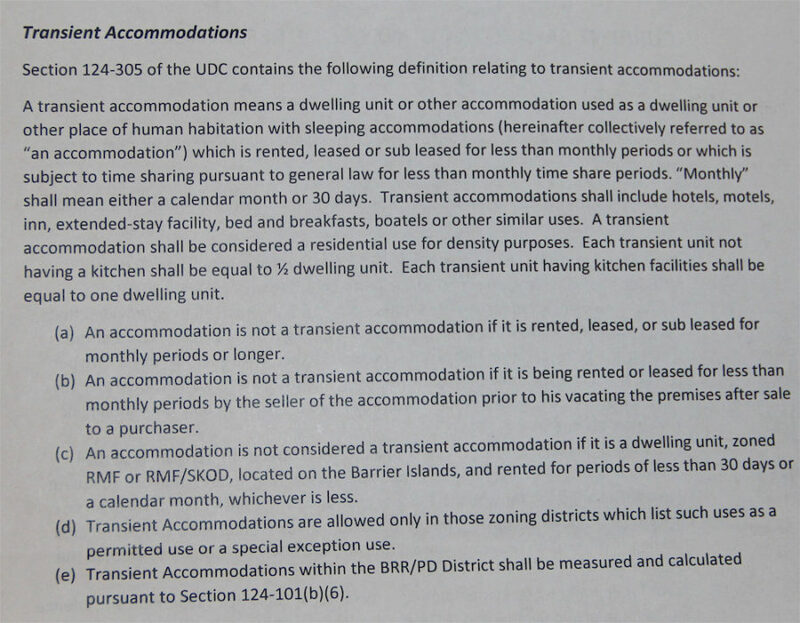 In a Feb. 20 letter, the SKA directors suggested a number of other measures for the county commissioners to consider as they try to help Code Enforcement staff stop illegal short-term rentals. Every rental house must be licensed, and documentation must name the owner and rental agent, if the latter handles the rentals. “The owner and/or agent will be required to sign an agreement stating that they have read and agree to abide by all applicable county rules applying to the location and zoning classification of the residence that will be rented,” the SKA letter suggests. A fire inspection should be required and, if necessary, the house should be brought into compliance with county regulations before a license is issued. If a structure is used solely for rental purposes, every transaction must be documented in writing submitted to the county Code Enforcement Division before a tenant can occupy the house. The document should state the number of guests/renters; the name and phone number of the primary responsible guest/renter; the dates when the party will be in the house; and the name and phone number of a local contact (owner/agent). All rental rules must be printed in clearly readable type and posted inside the front door, in a conspicuous position. The following should be among the information included: a copy of the county’s Noise Ordinance; county parking rules for the specific zoning district; regulations relating to garbage and recycling collections; and the name of the real estate agent handling the property. The SKA directors recommended, too, that the County Code require that any homeowner who violates the county’s rental rules be fined an amount equal to the rent the owner collected during the period the violation occurred, plus a penalty. They further called for a change in the Code Enforcement ordinance to allow officers to issue fines immediately when a violation has been documented. 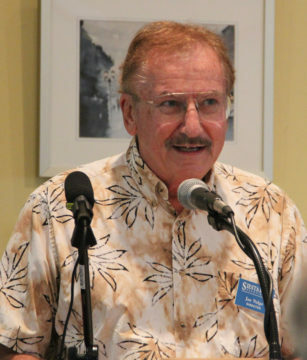 Osterhoudt, the Planning and Development Services Department director, explained to the SKA audience on Jan. 10 that state regulations regarding short-term rentals were enacted a number of years after the county’s ordinance went into effect. Therefore, to ensure the county does not lose its ability to continue to enforce its own rules, Osterhoudt said, staff has to be especially careful in considering any proposed amendments.